Pasarel - Rare Antique Pair Of Algerian Silver Torah Finials, Circa 1870, Judaica. 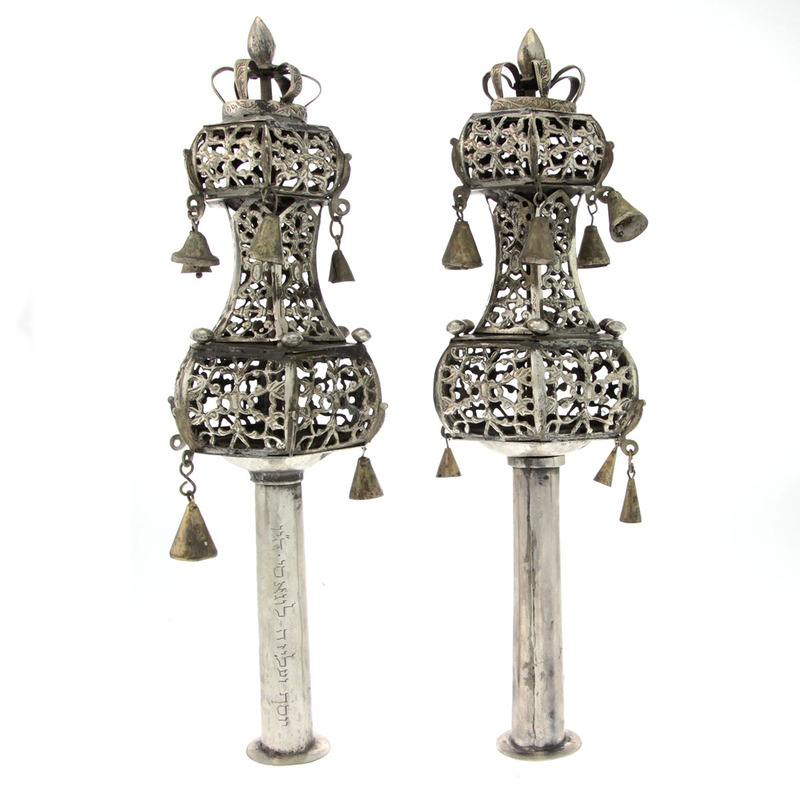 Rare Antique Pair Of Algerian Silver Torah Finials, Circa 1870, Judaica. The hexagonal massive finials are pierced with foliage ornaments and each is set with 12 dangling bells. The finals are engraved with a personal dedication in Hebrew (see pictures). 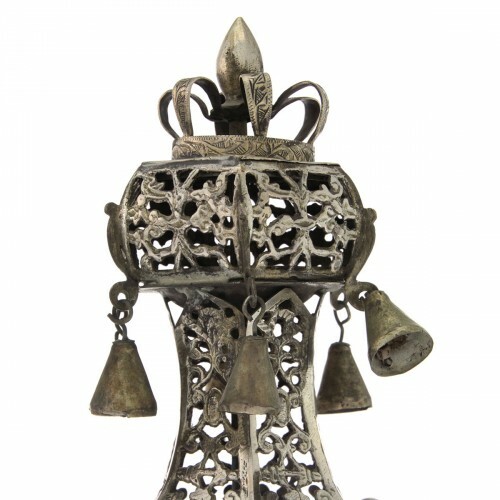 This item is part of the huge collection of the most famous Israeli antique and art collector Mr. Ami Brown – a former CEO and major share holder of Coca-Cola Israel. Very good, minor dents, missing 8 bells. Length – 34.5cm / 13.58in. 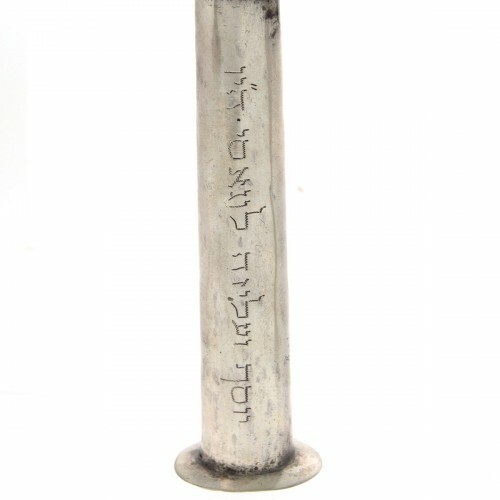 Stav’s diameter – 2.5cm / 1in. Apparently unmarked, tested with acid for silver.